The difficult Kharasaveyskoye field located partially on land and partially on the shelf will be a challenge for “Gazprom dobycha Nadym”. But experienced gas workers will cope with this, says the governor of Yamal Dmitry Artyukhov in an interview. Gas of Yamal will be in demand in the coming years, and neither reduction in demand nor replacement by other types of energy is expected. According to the governor, Kharasavey project will become the main center of dynamics and development of the region in the next five years. “Our projects are sometimes remote: Bovanenkovo, “Yamal LNG”, Kharasavey project. If to look at the map, it can seem that it is very far away and has nothing in common with a resident of Noyabrsk or Muravlenko. But in fact, these are projects that give us sources for development. These are taxes, working places. It is possible to develop an intra-regional work on a rotation basis. Due to tax revenues, we are developing our cities, creating next points of growth. That is, the effect of launching such projects will be felt by each resident of Yamal in its every corner”, the head of the region said. 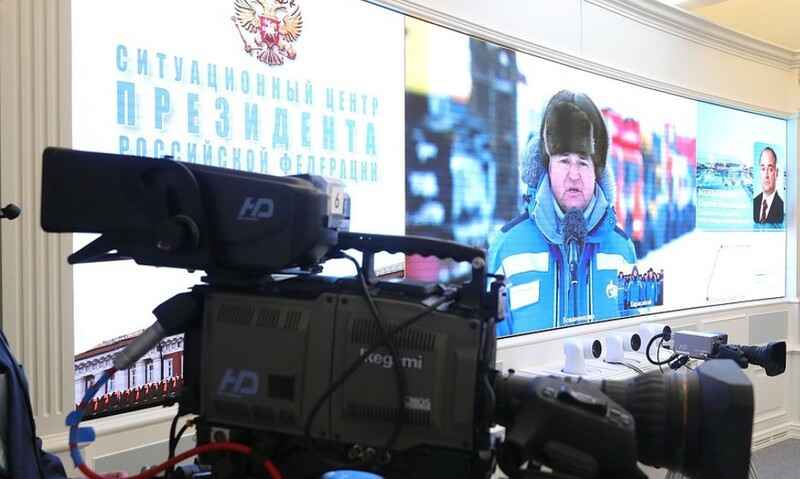 Today, in the videoconference mode the President Vladimir Putin participated in the beginning of full-scale development of Kharasaveyskoye field.